A landscape artist from Ashburton in Devon. 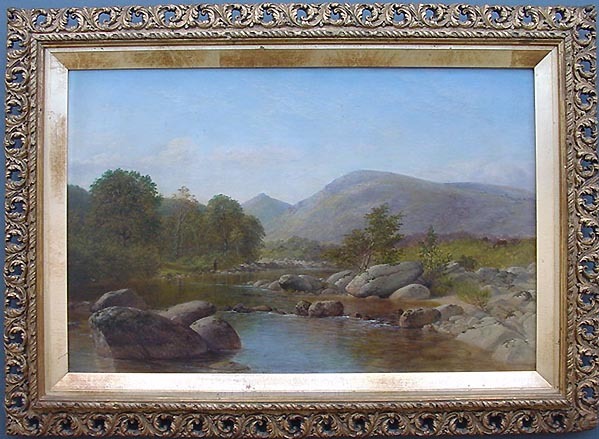 Frequently painted the River Dart and Dartmoor. Exhibited 7 @ RA, 7 @ British Insitute and 7 @ the Royal Society of British Artists. Tiles included: In Buckland chuchyard near Ashburton, a study from nature, £12.12s - 1857, Shaugh Bridge and Cottage, Devon, £15.00 - 1862, On the Cad, near Shaugh Bridge, Devon, £6.6s - 1863, In Bickleigh Vale, Devon, 15.00 - 1863, On the Erme, Devon, £20.00 - 1864, Foxworthy Bridge, Lustleigh Cleave, Devonshire, £15.00 - 1865, Interior of an old cottage on Dartmoor, £20.00 - 1867.